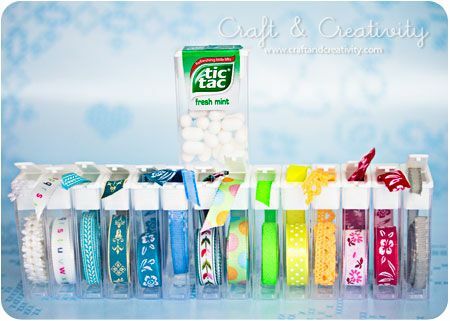 This Saturday I have a little bit of crafty inspiration for you. 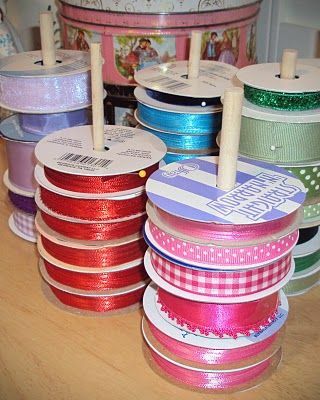 While the sunny is shining now is the time to clear out all your ribbon stash. Do your riibons look like this? If so then you have come to the right place. 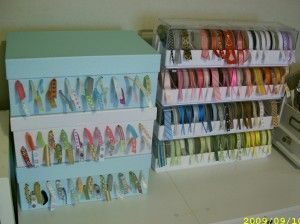 Why not organise your ribbons by colour, designs or type? 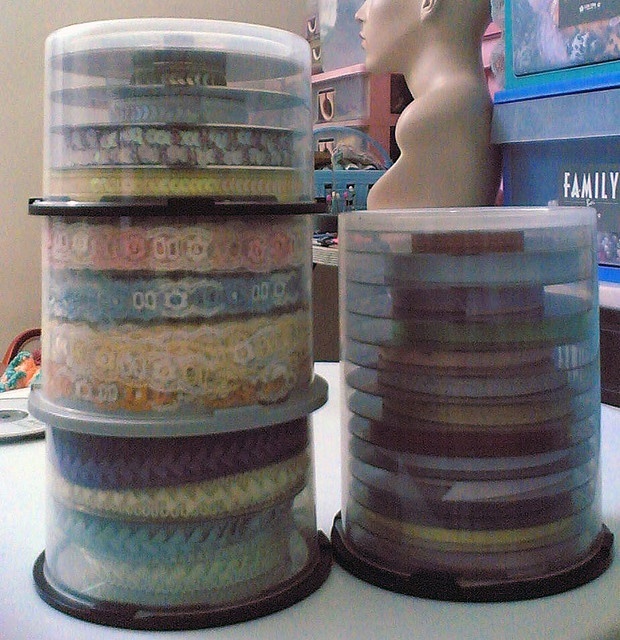 Below you will find a few thifty ribbon storage solutions for all your scraps or reels.